Hark! Fresh fava beans are coming at you in this week’s CSA share from Orchard Gardens. Scroll down to cut to recipes. 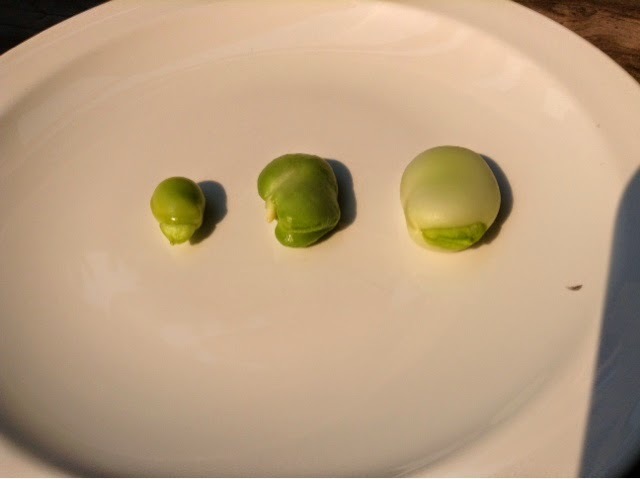 When it comes to food plants, people have been growing fava (broad) beans for a long time. At least 5000 years. They are delicious, nutritious and easy to grow in a wide variety of climates. They can withstand cold and prosper in poor soil. Almost everyone eats them. They are prominent in North African foods like falafel and the Egyptian national dish: ful medames- a stew of cooked, dried broad beans, oil, cumin, chile, garlic, wedges of boiled egg, and lemon eaten with bread. Food to fuel a revolution. When I worked as a fire lookout years ago, ful medames was the one thing I could coax from my limited pantry that I never grew tired eating. The Romans and ancient Greeks (with the exception of Pythagoras, who, for some kooky reason, disdained them) loved their favas. Modern Romans cook fresh green favas with pork jowl and Tuscans like to eat them uncooked, dredged in salt with shavings of pecorino. 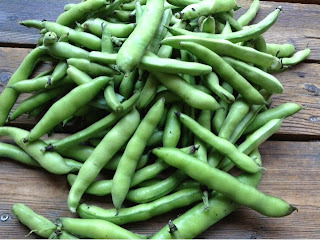 Uncooked favas have a slightly astringent tang and a rich, powdery sweetness. 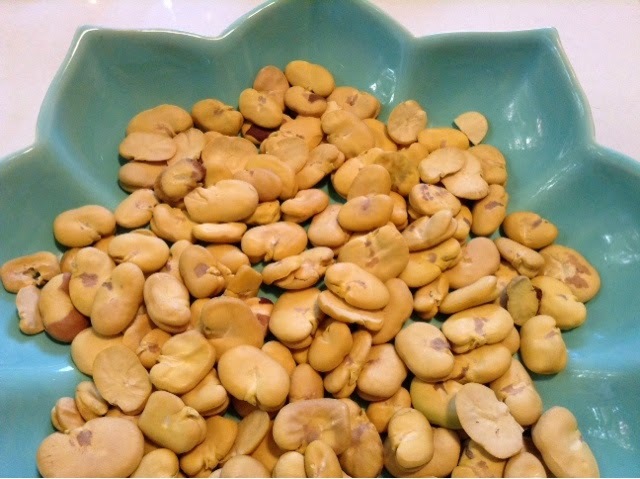 Fermented favas are mixed with soybeans and chiles to make doubanjiang- the blessed paste used in mapo tofu and other transcendent dishes from Sichuan Province, China. And they are eaten in many places as a fresh green vegetable, steamed, blanched or fried. 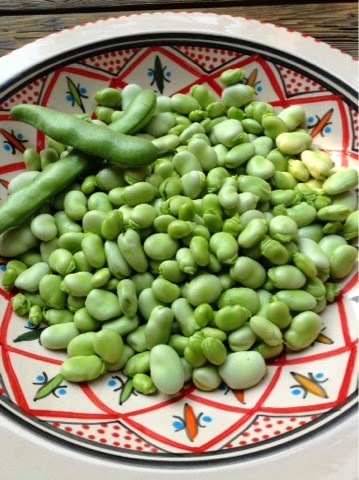 Fava beans are high in protein and fiber, folate, magnesium, manganese and potassium. They are easy to cook and shelling them is a wonderful group activity. Just grab a bowl and a bucket for spent pods and start popping! 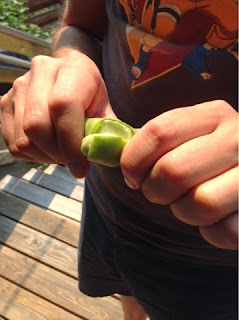 You can have a fava bean battle, launching beans at your neighbor with your thumbs. 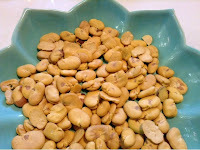 Here are a couple of simple recipes, one using fresh beans and the other using dried. From The New Book of Middle Eastern Food by Claudia Roden. This lovely Egyptian dish couldn’t be more simple or delicious. Mix yogurt with salt, pepper and mint. Boil the beans in salted water until tender, 2-5 minutes depending upon the age of the beans. Drain. You can skin the beans for a smoother texture or leave the skins on if the beans are relatively young. The skins make the beans a bit more chewy, but I think they add flavor. Heat oil in a skillet on medium heat. Add garlic and beans and stir until garlic aroma arises. 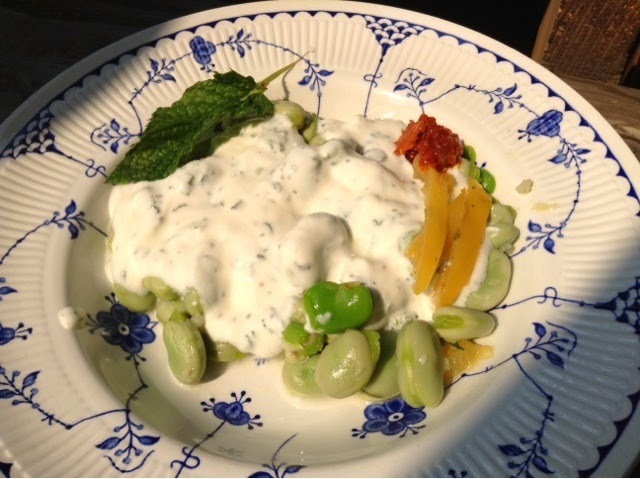 Serve beans with the yogurt poured over. 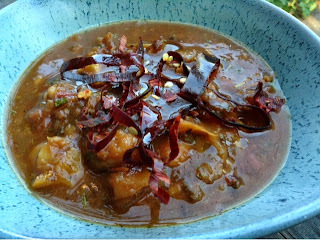 If you choose, garnish with preserved lemon and harissa, the mouth-watering North African chile paste. This tomato-based, cilantro-perfumed soup from Hidalgo uses dried, skinned fava beans available at Mexican or Middle-eastern markets. I usually stock up when I visit a city. The soup is traditionally eaten hot, but it is also wonderful chilled on a hot, smoky day. Rinse the beans, drain and fry them in veg oil in a heavy-bottomed pot on medium-high with garlic and onions til onions are translucent. Add tomatoes and turn heat to high, stirring constantly until almost all the liquid has evaporated. Add hot water, cilantro and salt and let soup simmer until the beans are mushy and disintegrating, 2-3 1/2 hours. Fry your chiles in a bit of oil in a medium-high skillet, turning them to brown (not blacken) all sides. Remove them from heat and let cool. Crumble or snip with kitchen scissors over bowls of soup and drizzle olive oil over each bowl. If you have some fresh mint and/or dill on hand, these also go nicely with the flavors in this soup. Chop finely and add to hot soup before serving. Coming soon at theravenousscavenger.com: Egyptian falafel made with dried fava beans.